In the return of the show, Jacob recaps each game and briefly discusses a few things for each game, such as: Will Lamar Jackson keep his starting job over Joe Flacco? Who does he think is the MVP frontrunner aside from Patrick Mahomes? And who posted the weirdest statline of the week (and possibly much longer)? Follow the show on twitter @nflfanaticpod and check out the website, jacobgallipeau.com to see the backlog of weekly picks from this whole year! Jordy has been my favorite player since I started watching football. Today, he was cut from the Packers. I wanted to make this tribute to him. Jacob Gallipeau previews each of Week 10’s matchups and discusses questions like: Have the Buccaneers given up? Do the Saints have TWO top 10 running backs? Are the Packers a lost cause? Also, he talks about joining FF Dynasty 260, a sports website with lots of articles and weekly ranks. To read his first article on the site, check out: http://ffdynasty260.com/chiefs-mid-season-report/ and stay tuned for talk about his weekly rankings! There were quite a few big name trades today! So, let’s talk about these trades and break down what each trade means for each team. Jacob and Nick do an abbreviated preview of each Week 8 matchups, including talk of the Broncos recent struggles, Russell Wilson vs DeShaun Watson, and of course, our picks for each game’s winner. Phil from the Say Whatcha Like Podcast joins me today as we recap week 7 in the NFL. How did Brett Huntley perform in his first start? Is Amari Cooper a thing again? This and more on today’s show! Week 6 is here, and we’ve got quite a few good matchups! Listen in as we go through each matchup one by one with start/sir advice and who’s going to win the game. Week 5 is over, so let’s talk about it! We discuss DeShaun Watson’s big week, Amari Cooper issues, Aaron Jones value, and much more! 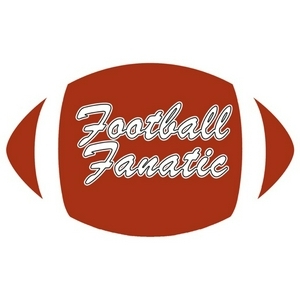 Check out footballfanaticpodcast.com for spreadsheet of picks. Tonight, the Patriots play the Buccaneers, and there are a few things to examine. Join me as we discuss a potential big day for DeSean Jackson, Doug Martin’s return, Gronk’s injury report, and more! Chris Dell of the Go Baller FFS podcast joins me to recap every game from this weekend! Listen in for great conversations, such as who will replace Chris Carson? Are the Bills and Rams legitimate? Catch up on all the latest injury reports and who will be playing or not. Listen for news on DAndre Hopkins, Carlos Hyde, Jordan Reed, and more. The craziest week in the NFL I've ever seen is finally over. It's time to talk about it: what the heck happened this week? Phil from the SayWhatchaLike Sports Podcast joins me to recap each game. Sam Bradford will not play this week, so just wanted to let you all know I'm changing my pick in PITvsMIN. Week 2 is almost upon us, and it's time to preview all the matchups! Join Jacob and his guest Nick Broder as they make their picks and predictions for each of the week's games. Tonight, the Houston Texans take on the Cincinnati Bengals in Week 2's Thursday Night game. How will DeShaun Watson perform in his first NFL start? Who will be the feature back in Cincinnati? Week 1 is in the books, and what a crazy week it was. Today, we do a short recap of each game, including fantasy studs and disappointments, and then follow the recap with all the latest injury news. Week 1 of the NFL season is here! We preview all of the matchups for the week: who to watch, and who will win. Also: Search "SayWhatchaLike" on YouTube to hear Phil and I discuss prime time matchups! Cut Day was this past Saturday, which means all 32 NFL teams had to cut down to 53 man rosters. This means hundreds of cuts, and a few trades as well. So, here are all the moves you need to know! A lot has happened this week in the NFL! Today, we talk about suspensions, extensions, trades, injuries, and more. I will be coming back soon with an episode on the WR fantasy rankings, so stay tuned! The draft is always the best part of a fantasy league. Today, I do one live, and explain my picks as I make them, along with sharing thoughts on each player as they are drafted. In this episode, we take a look at the experts' rankings of this years RBs, and talk about where you should draft them in your fantasy league. In this episode, we take a look at all the offseason moves by each NFC West team and what they will mean for them in the upcoming season. Today, we take a look at the biggest pieces of news from the NFL in the past few days, including the Ezekiel Elliott suspension, two major trades, and a few injury updates. Today, we continue through our Offseason Talk series by discussing the NFC South. Also in this episode are a few news updates and some additional QB stats that were missed in the last broadcast. In this episode, we take a look at the QBs playing this year, how well they are going to play, and where you should draft them in your fantasy league. In this episode, we take a look at all the offseason transactions for each of the NFC East teams, and with that knowledge, make projections on how each team will perform in the upcoming season. In this episode, we take a look at some of the trending topics from around the league, including injuries to star rookies, new team signings, and LeVeon Bell's contract talks. In this episode, I discuss the offseason moves for each of the AFC West teams and what they mean for the team in the upcoming season. In this episode, I discuss the offseason moves of each of the AFC East times and what they mean for them in the upcoming season. The first episode of the podcast! For this episode, we have a little discussion about the top 10 players in the NFL, as ranked by the players and NFL Network.